It was just a few days before Christmas and the Opry was decked out in all it’s glory with bright colors of red and green amongst the soft glow of the twinkling lights. He had walked this walk for many years now and tonight was no different. Everytime he walked the path up to the doors of the artist’s entrance of the Grand Ole Opry, he would think back to the days that the show was held at the Ryman Auditorium. As long as he lives and beyond, he will never forget that one special night when Roy Acuff had personally invited him to join the cast of the Grand Ole Opry. It was in 1948. Sixty-six years later he was still performing with pride on that ole show. He wasn’t scheduled to appear tonight, December 20, 2014. But, it didn’t seem right. Friday and Saturday nights were all about the Opry. He enjoyed meeting up with old friends while getting to know new friends backstage. When it was his time to go on stage, he did so with pride. He was still on an emotional high from his party that his friend Pete Fisher (general manager of the Opry) hosted at his place. It was his 94th birthday and he was surprised at how many came to wish him a Happy Birthday. His heart was filled with the love that his friends had given him last Sunday. But nothing could compare to the love of his wife. “I wouldn’t be alive today were it not for this incredible woman.” He smiles at the thought of his beloved wife Mona. It was like a family gathering every night backstage at the Opry and tonight was no different. As he walked through the hallowed halls of the beloved building he was greeted by so many. Even though he was only 4 feet 11 inches tall, they never made light of his height and he enjoyed that. With a ‘happy birthday’ here and a joke there, he lit up the halls with his heart of gold. “His bright blue suit faded into the darkness, and I never saw him again.” sadly shares Bill. Five days later, Little Jimmy Dickens was rushed to a hospital in Nashville after suffering from a stroke. News quickly spread across the world and the internet asking for prayers for the biggest little Opry star. Hearts fell as the news spread. A man who was taller than the world, with his big heart and even bigger smile, was now gone. Although his body laid in rest on earth, he was heaven bound for the Opry in the sky. Those who knew Little Jimmy, paused to mourn. As minutes passed into days, they all began to remember what kind of man he was. Sorrow and grief turned to reminiscing of all the fun, excitement and pure enjoyment that was contained in one small man. “One of the greatest things I’ve passed down to my boys was my friendship with Little Jimmy Dickens. We will miss him.” shares Aaron Tippin. “Country music and the Opry has lost a true living legend but Heaven has gained one of the funniest, sweetest, and kindest, talented spirits to ever grace its streets.” shares Jeff Bates. 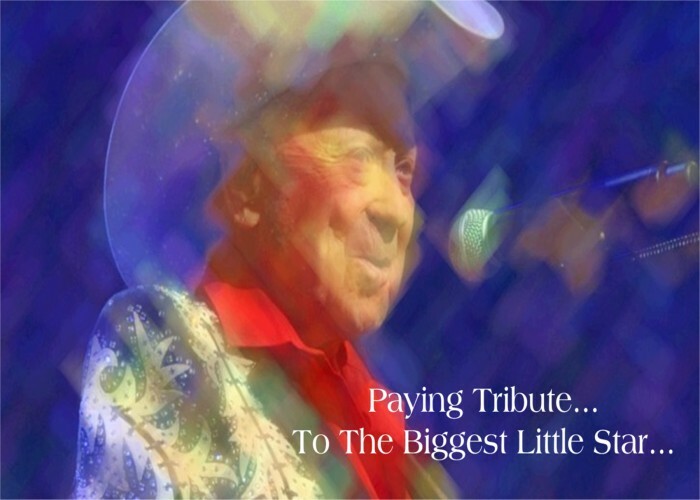 “Rest in peace Little Jimmy Dickens. Love to your family.” comments Trisha Yearwood. “It is with a heavy heart that I say goodbye to my hero and friend today. I loved you Jimmy.” shares Brad Paisley with sincere emotions. “Rest in peace Little Jimmy. Thanks for all the smiles, great music and your big loving heart.” states Reba McEntire. Little Jimmy Dickens’ career accomplishments do not read like today’s country artists. In fact, his reads more like a page taken out of a history book. For Dickens’ generation was one that followed the founding members of the Grand Ole Opry. James Cecil Dickens was born on December 19, 1920, the eldest of thirteen siblings. A native of West Virginia, Jimmy learned to play the guitar as a teen. In his twenties, he was the host of various radio programs in Indianapolis, Kansas, Michigan, Ohio and his native state of West Virginia. It was in 1947, the legendary country music icon Roy Acuff heard Jimmy perform. Acuff soon became an advocate for Dickens. In September of 1948, Acuff officially welcomed Dickens to the cast of the Grand Ole Opry. Since then he has become a staple at the historic show. “I look forward from one weekend to another to get back out on the stage of the Grand Ole Opry and try to entertain people who have come from miles and miles and state to state to be entertained with country music.” tells Little Jimmy Dickens. A year later, Jimmy charted his first Top 10 hit with “Take An Old Cold ‘Tater (And Wait).” The novelty song along with Dickens’ short stature led to his friend Hank Williams to nickname him “Tater.” A nickname he would cherish the rest of his life. 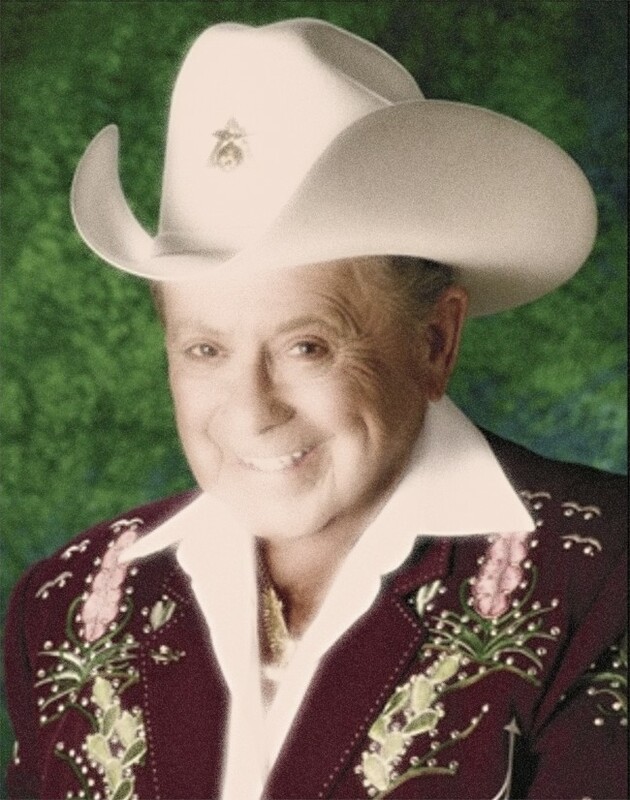 Jimmy continued to produce many more hits with songs like “Country Boy,” “Hillbilly Fever,” “Out Behind The Barn,” and his ever popular song “May The Bird of Paradise (Fly Up Your Nose).” He is also credited with becoming the first country music entertainer to tour the world. Unbeknownst to many of us, it was Little Jimmy Dickens who is credited in being the first to bring forth sequined suits to the live performances. In 1957, Dickens left the cast of the Grand Ole Opry to pursue another show. However, he returned in 1975 and became one of the Opry’s iconic cast members. It was his homespun humor, natural stage presence and frequent appearances that earned him the position. 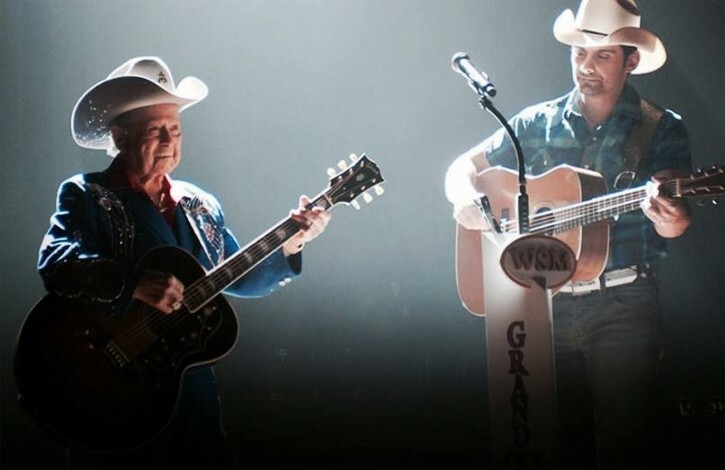 After the passing of Hank Locklin in 2009, Jimmy earned the title of the oldest living member of the Grand Ole Opry. Some of the finer things, even the best part of our lives, come in small packages. Little Jimmy Dickens was the perfect example. “Do not mourn Little Jim. Celebrate him. Relive and share the memories.